LOS ANGELES- December 20th, 2018- Garth Brooks has sold out his second concert at U.S. Bank in Minneapolis. One stadium show sold out in an hour, two stadium shows sold out in two hours. The concerts are Friday, May 3rd, 7:00 PM and Saturday, May 4th, 7:00 PM. The tour is presented by Amazon Music. The Garth Brooks Stadium Tour is returning to the Twin Cities after four and a half years. 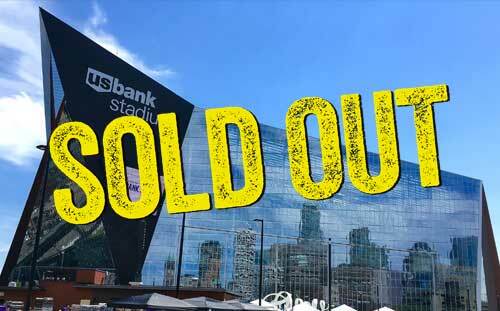 On Friday, May 14th, Minnesota Governor Mark Dayton asked Garth Brooks to perform a second concert at U.S. Bank Stadium, after the hour long sell out left upwards of 50,000 still waiting to buy tickets. This past Monday morning on a conference call with Governor Dayton and local press in Minneapolis, Garth agreed to a second show! Garth had planned to do a press conference with Governor Dayton at the Minnesota State Capitol this morning but due to a mechanical issue with the airplane, he had to cancel.